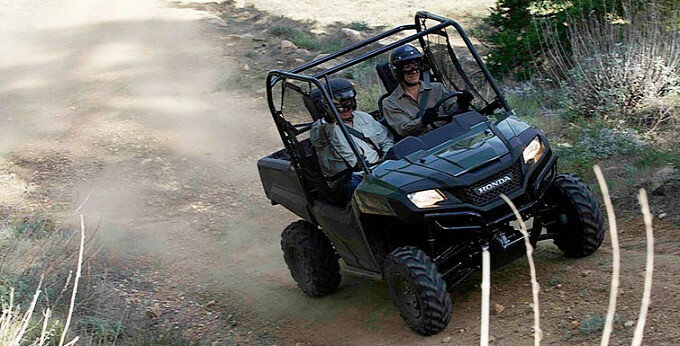 The 2014 Honda Pioneer 700 is a new SxS designed to provide its owners with a most dependable, hard-working partner, able to respond to pretty much any terrain conditions and at the same time be a fun vehicle for a weekend adventure into the woods. 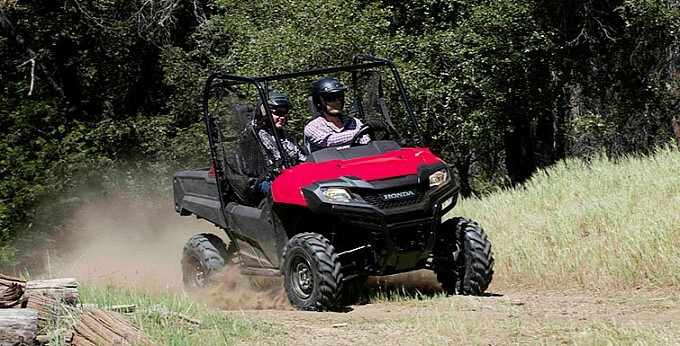 The all-new Pioneer 700 is full of Honda technology and features like a liquid-cooled 700-class engine, double wishbone front-suspension, and durable automotive-style automatic transmission with a heavy-duty torque converter, the Pioneer 700 comes with reliability and dependability nobody can touch. Best of all, it’s designed, developed, and expertly built in the U.S.
A stout, heavy-duty torque converter with three hydraulic clutches and positive engine braking. It’s smart, too–it features a two-stage shift map to optimize power delivery through the engine’s RPMs. 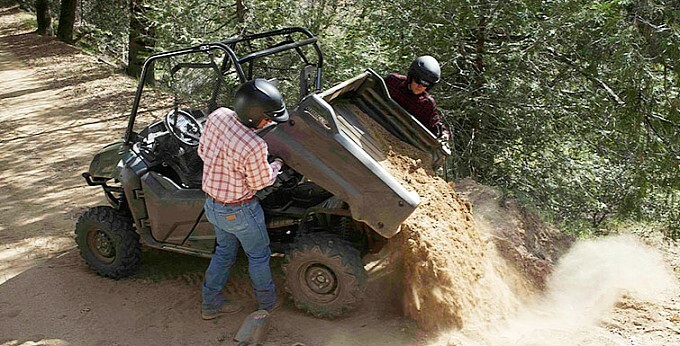 The Pioneer 700 has a heavy-duty two-inch receiver-style hitch and a 1500-pound towing capacity. SxS’s are built to hold stuff, and the new Pioneer 700 is ready to get to work. The bed capacity can hold up to 1000 pounds. 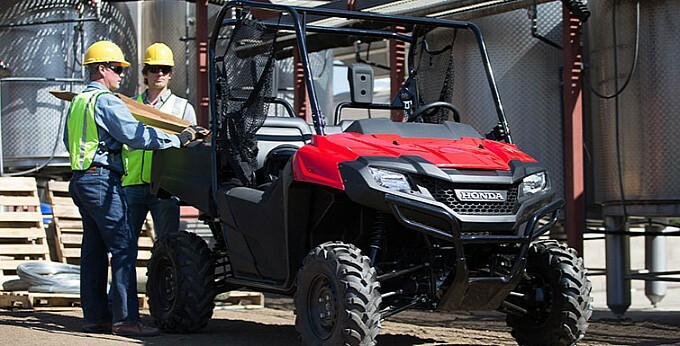 The 2014 Honda Pioneer 700 is powered by a 675cc 4-stroke single-cylinder engine, with the company’s PGM-FI fuel delivery system, and comes with an automatic transmission with triple-mode operation: 2WD, 4WD and 4WD with differential lock. Disc brakes are in place for both rear and front, to help the rider slow down when needed. Positive engine braking is also standard. 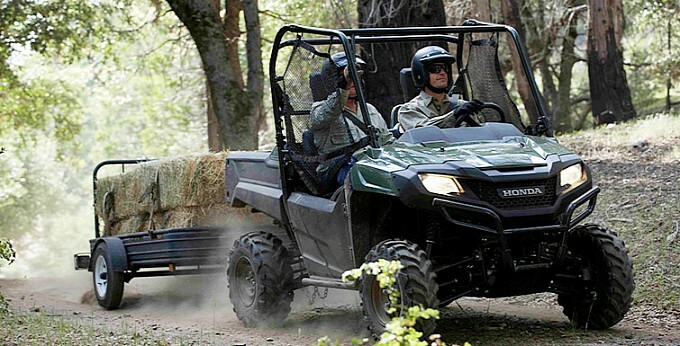 The 2014 Honda Pioneer 700 is Expected in September 2013.